Celtic Harmony is an award winning charity, providing hands-on cultural heritage education of ancient Britain to increase understanding of the natural world and create a more sustainable way of life for future generations. 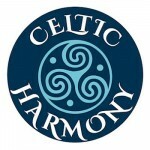 Celtic Harmony provides a program of events and archery courses for schools and the local community, to encourage participation in healthy recreation and a greater understanding of ancient crafts from archery to storytelling. Visitors experience first-hand how the people of the Celtic Iron Age, who lived over 2000 years ago, made food, clothes and shelter from the natural environment, whilst protecting natural habitats by harvesting in the traditional way.